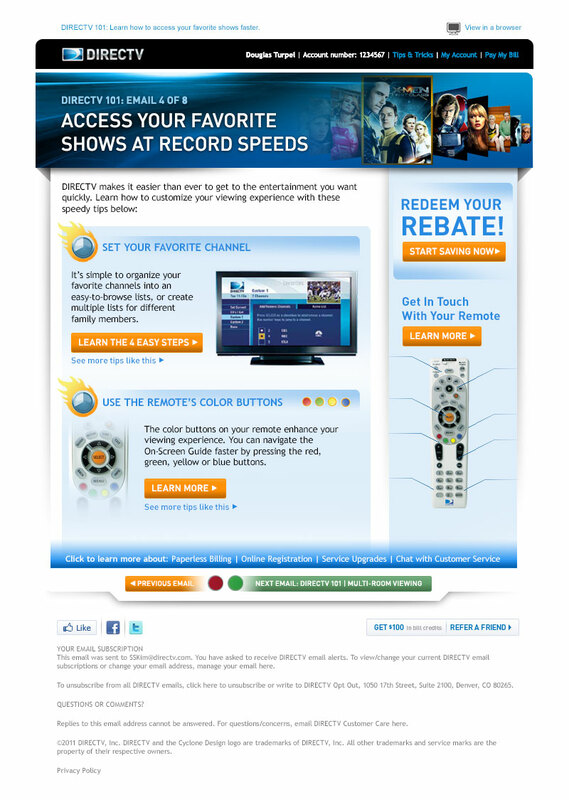 We pitched and won the DirecTV email marketing account for CheetahMail, of which my creative team was retained to write, design and develop their campaigns. 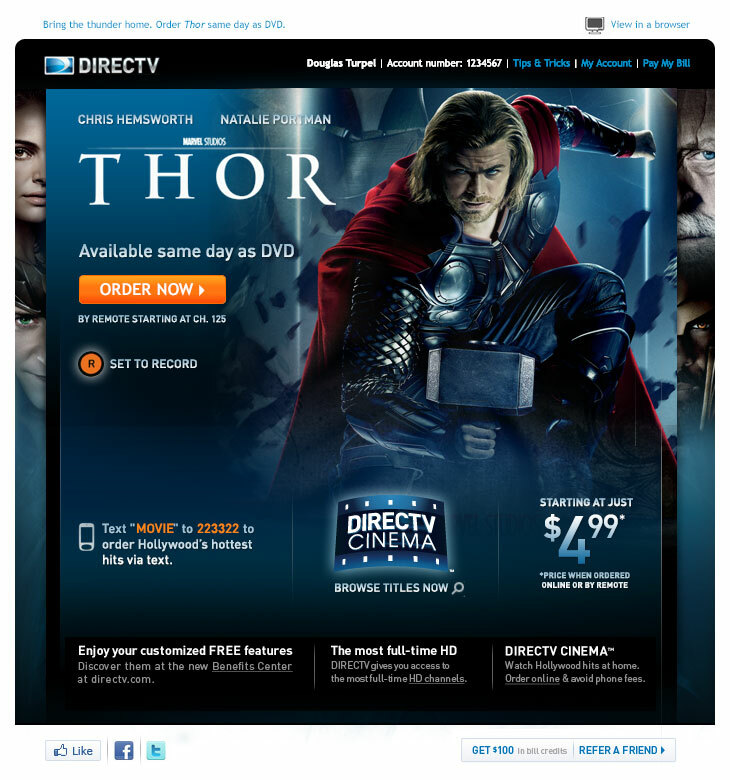 They had a very robust, and well-developed email marketing strategy already that covered various channels including movies, sports, customer service and promotions. 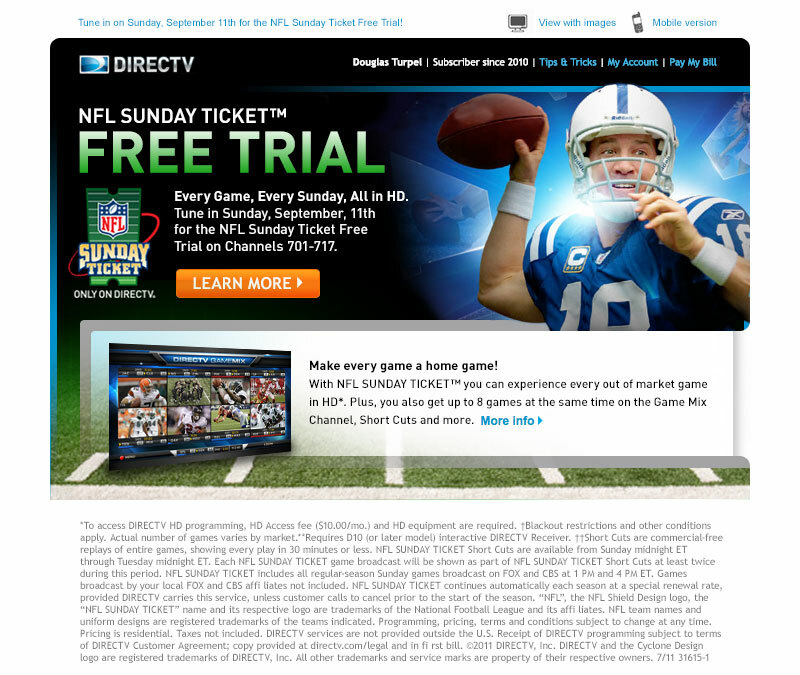 For the first several months of the engagement, I handled the lions share of the DirecTV email design and copywriting work, along with daily client contact and presentation. 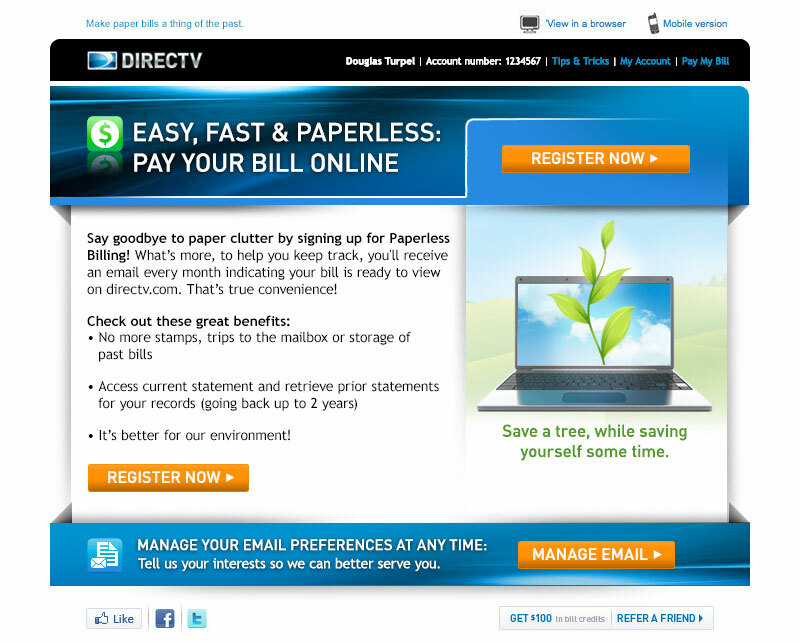 While we had to stay close to their current branding, they also allowed us to explore different email design formats, like horizontal emails and responsive mobile development, and how the brand translated into them. 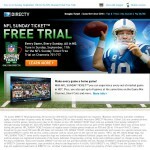 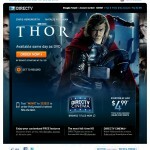 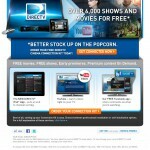 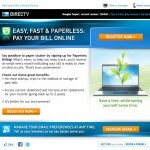 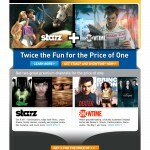 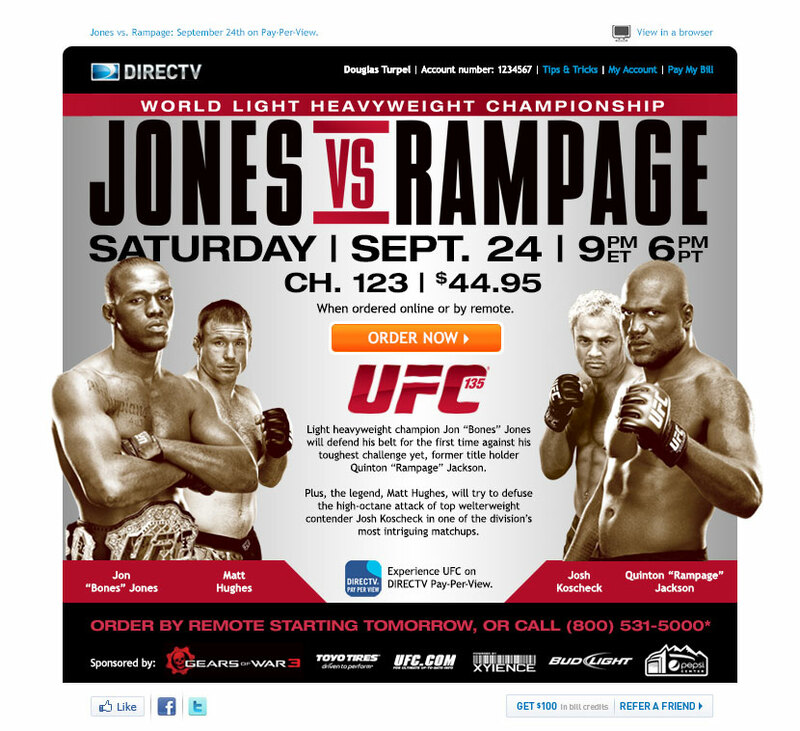 For instance, one of the techniques we introduced was responsive email design for DirecTV. 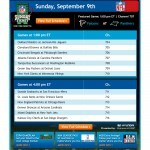 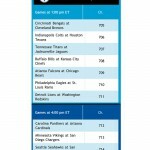 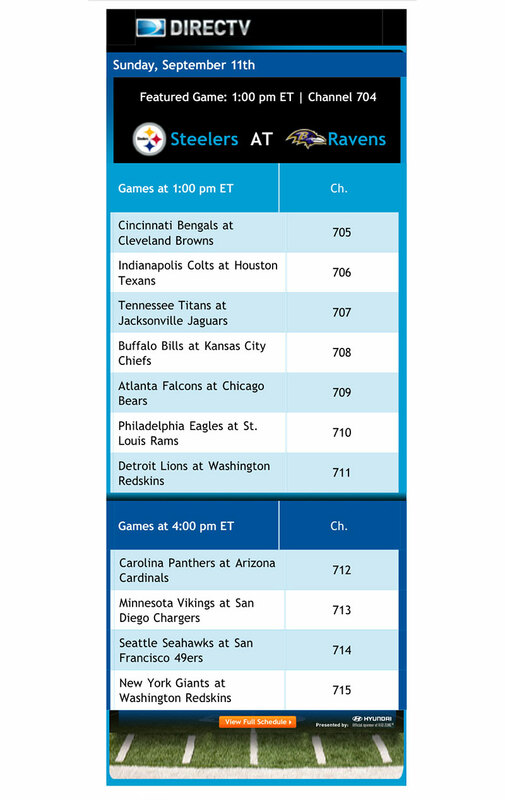 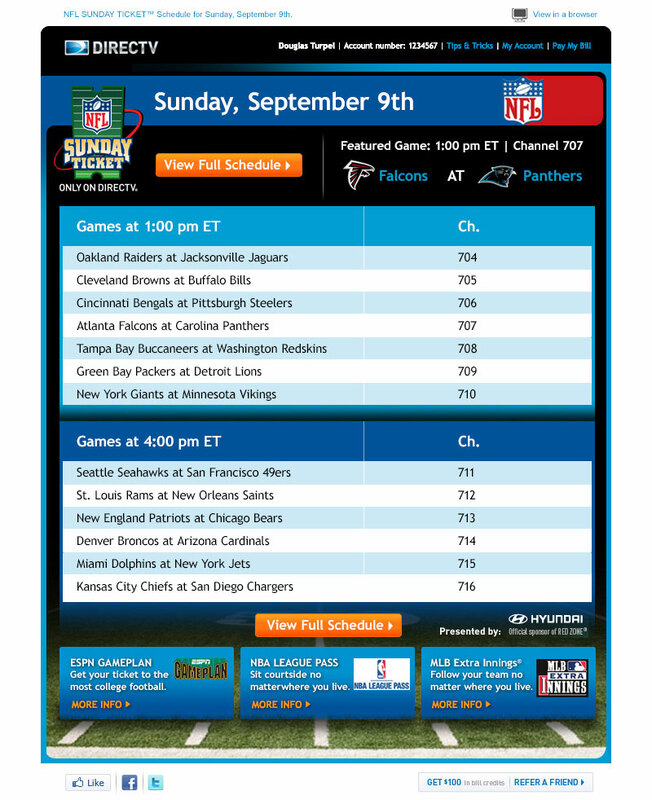 Launched with their NFL Sunday Ticket email campaigns, their users were enabled to check the Sunday game line-up from their mobile devices sitting in front of their flatscreens, rather than starting up their desktop machines in another room. 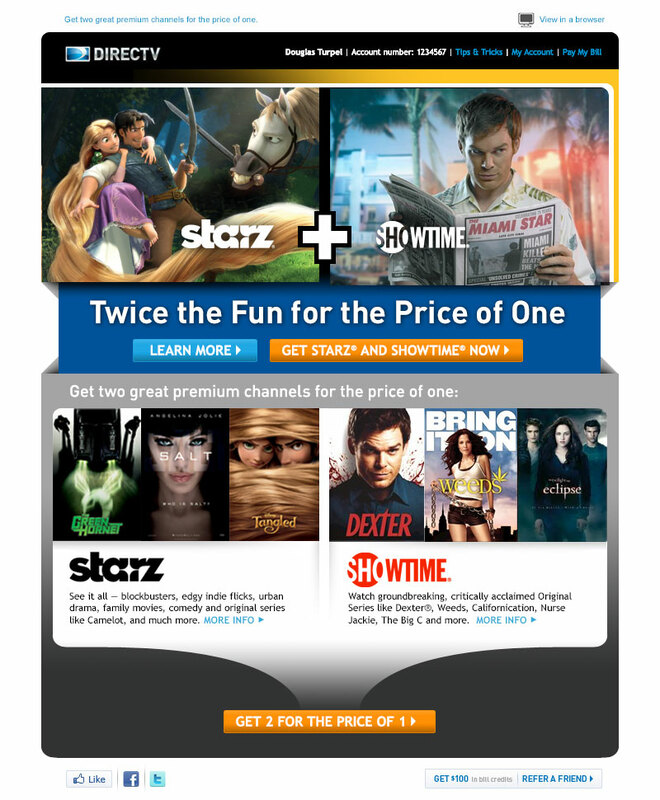 I worked with the various channel managers to develop campaigns, and also managed the workload internally to increase production capacity and decrease turnaround times, while not sacrificing the creative product. 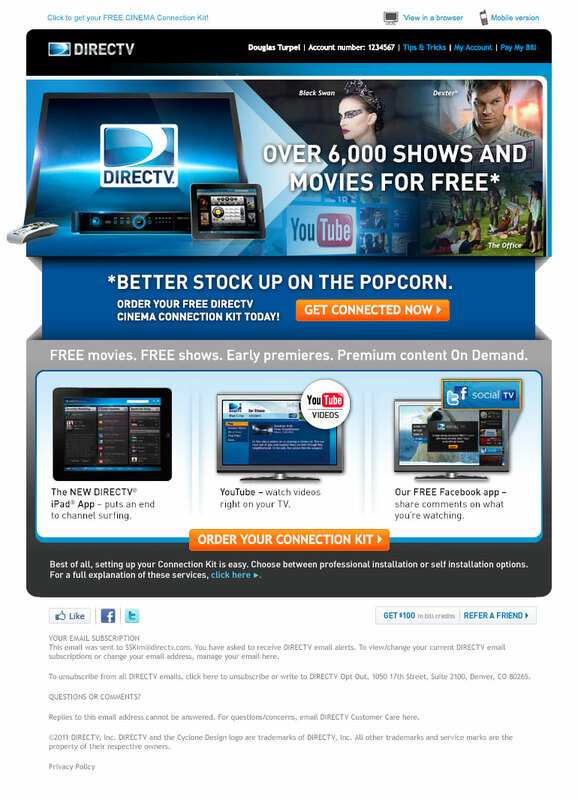 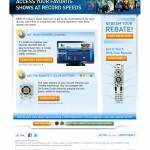 All in all, a strong body of work consisting of several hundred custom DirecTV email designs; all of which were well-received.